Looking for a way to continue servicing grooming clients with little overhead and a great deal of flexibility? House-call grooming is a business that allows you to set up your equipment and groom pets inside clients’ homes — no van or trailer required. 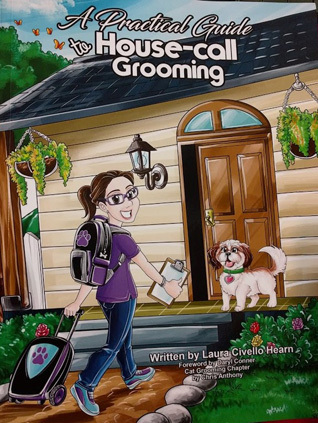 Laura Civello Hearn, an experienced house-call groomer and educational speaker, takes you step-by-step through every aspect of house-call grooming. 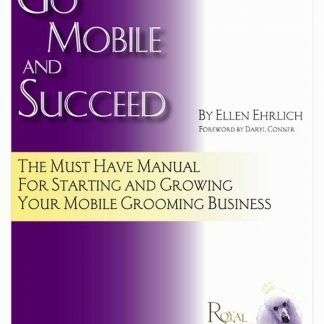 She instructs you how to effectively start and grow your very own house-call grooming business. Are you an experienced groomer with a love of animals? Do you want the flexibility of mobile grooming without having to put down $15,000 for a brand-new van? 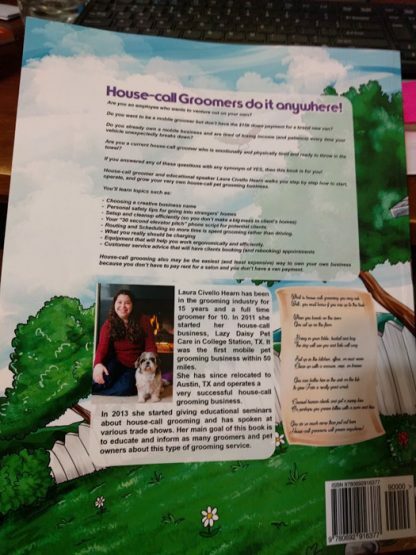 If you are already a house-call groomer, are you frustrated with how things are going and ready to throw in the towel? 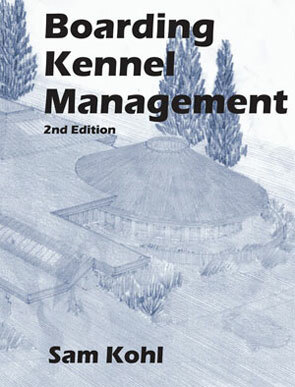 Chapter focuses that include Safety, Equipment, Marketing and Advertising, and Routing, this exciting read will teach you everything you need to know! 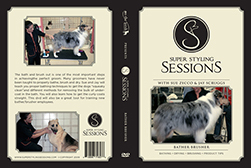 Special cat grooming chapter by house-call groomer and shear expert Chris Anthony. 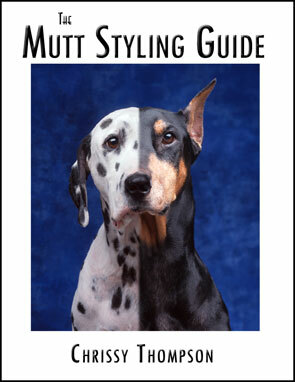 Foreword by house-call grooming veteran, Daryl Waters Conner.